This summer you and I will be traveling to Italy and Greece. Before each one of my trips, I usually distribute an newsletter called The Traveler every month (January-May) to pass on important tidbits but this year but this year, I decide to create this blog instead so that I can easily communicate with you. This way, everyone can be in the loop just by going online. You can click on the "comments" link to write a comment, ask a question or pass on tips and information to the group. The inevitable...These students thought it would be fun to watch their parents lose it when they showed them these very realistic looking tattoos. Actually, they were the work of one of the many Hennah artists that set up shop on the beaches and market places and stenciled your favorite design for a few dollars. 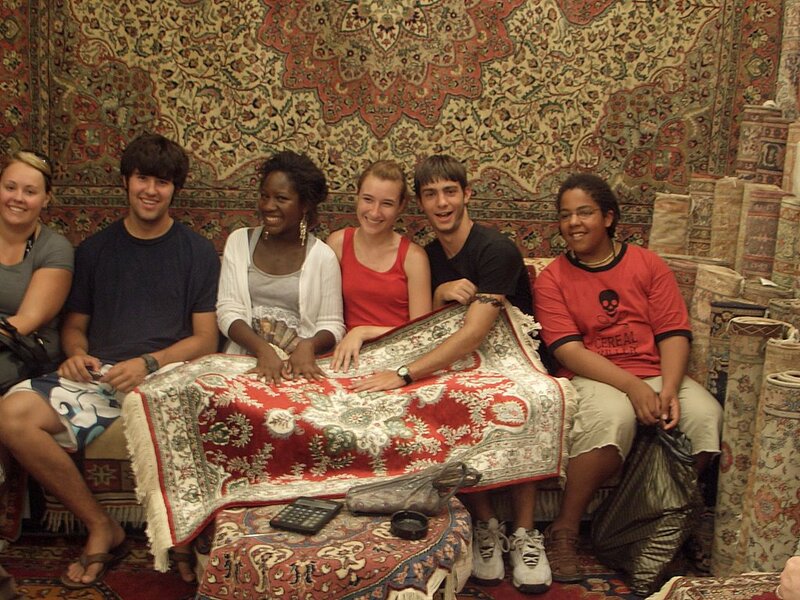 In the Grand Bazaar in Turkey, we were invited for apple tea in a carpet store that belong to some friends of mine who sold carpets out of my house last year. 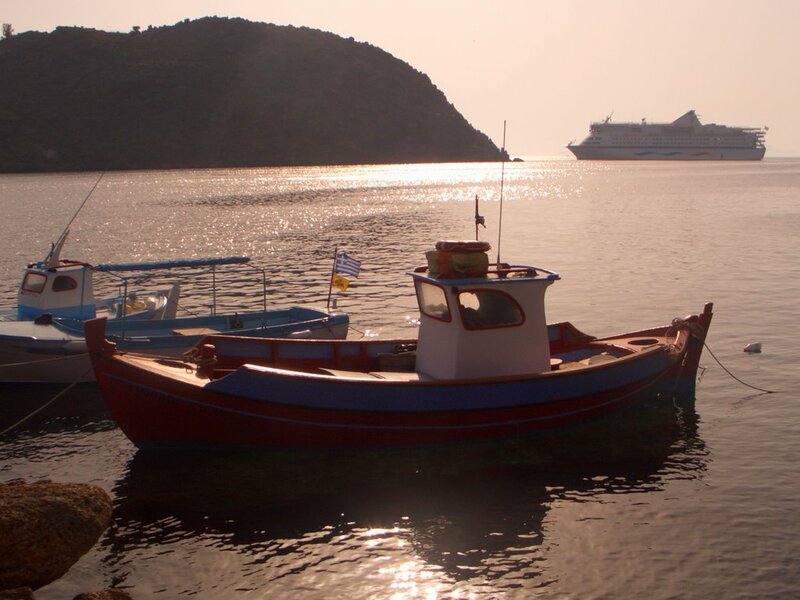 Early in the morning, the Sea Diamond (in background) dropped us off in the Island of Patmos. Here, the Virgin Mary spend her last days. You can even visit her house. 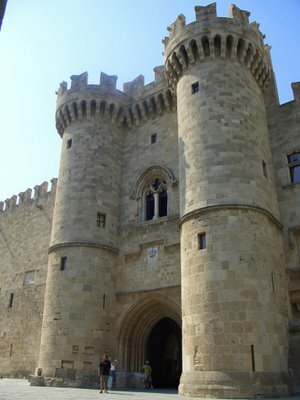 On the Greek Island of Rhodes stand these 2 pedestals. 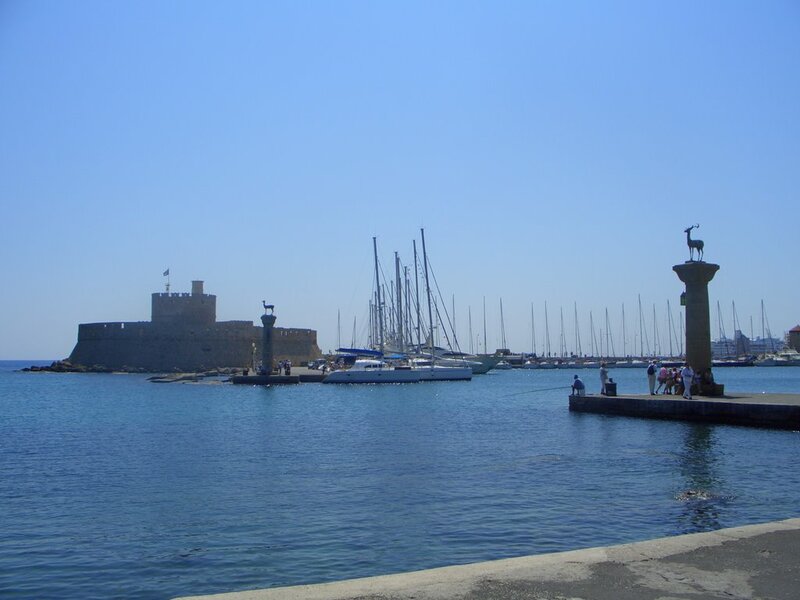 Supposedly, they mark the place where the legendary Colossus of Rhodes. The giant statue's feet are rumored to have stood where you see these 2 columns. 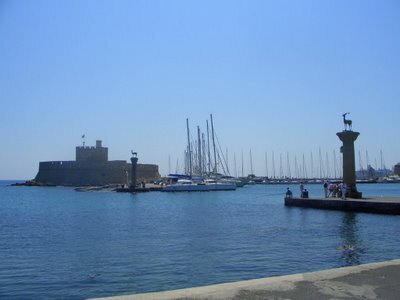 Ships of all sizes where welcomed into Rhodes thru the legs of this statue.